Known issue: Error: (#200): Due to some sudden Facebook changes Access Tokens from new Facebook apps are temporarily unable to access the Facebook API. 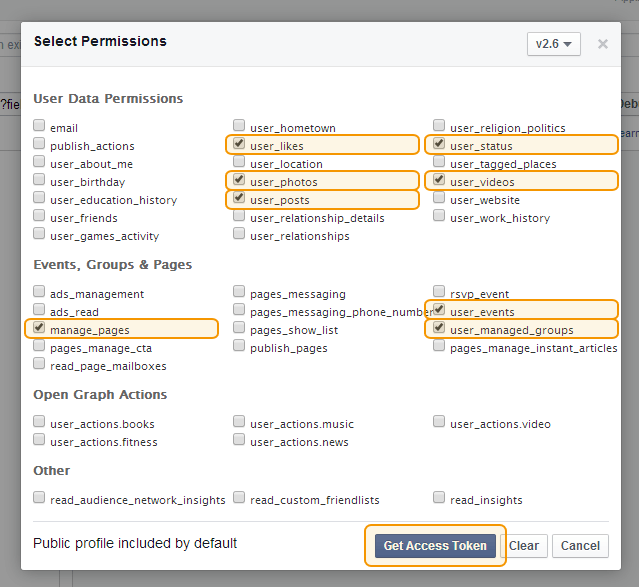 You can still display most types of content in our plugin by leaving the “Facebook Access Token” field blank. Due to the security restrictions that Facebook places on it’s users content, in order to display some types of content outside of Facebook they require you to use a ‘User’ Access Token. To obtain a User Access Token just follow the steps below. 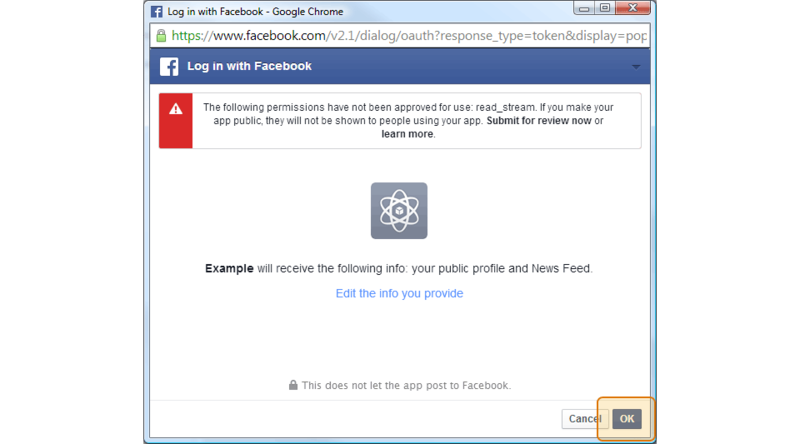 1) First, follow the directions in the App access token tutorial to register as a developer and set up a Facebook App – then return to this page and follow the directions below. You’ll need the App ID and App Secret from the app you set up to obtain your User Access Token. Note: If you already have a Facebook App set up then you can skip this step and go straight to step 2 below. 2) Once your app is set up, go to the Facebook Explorer and log in using your personal Facebook account. 7) You should now see an Access Token generated for you. Important: Make sure to copy and paste this into the form in the next step to get an extended User Access Token.